The Taj Mahal which translates to “The Crown of the Palaces” is an ivory-white marble mausoleum on the south bank of the Yamuna river in the Indian city of Agra. It was commissioned in 1632 by the Mughal emperor, Shah Jahan who reigned from 1628 to 1658, to house the tomb of his favourite wife, Mumtaz Mahal a Persian princess who died giving birth to their 14th child, Gauhara Begum. Construction of The Taj Mahal was essentially completed in 1643 but work continued on other phases of the project for another 10 years. The Taj Mahal complex is believed to have been completed in its entirety in 1653 at a cost estimated at the time to be around 32 million rupees, which in 2019 would be approximately 54.8 billion rupees (₦287,783,470,592). The Taj Mahal was designated as a UNESCO World Heritage Site in 1983 for being “the jewel of Muslim art in India and one of the universally admired masterpieces of the world’s heritage”. It is regarded by many as the best example of Mughal architecture and a symbol of India’s rich history. The entire structure is in fact a set of buildings, gardens, lakes and fountains with perfectly organized symmetry contained in a rectangular ground which includes two mosques, one of which is unused because it is not oriented towards Mecca, symmetry obligatory, three Iranian-style gates, three red brick buildings, a central fountain and four bodies of water organized in a cross. 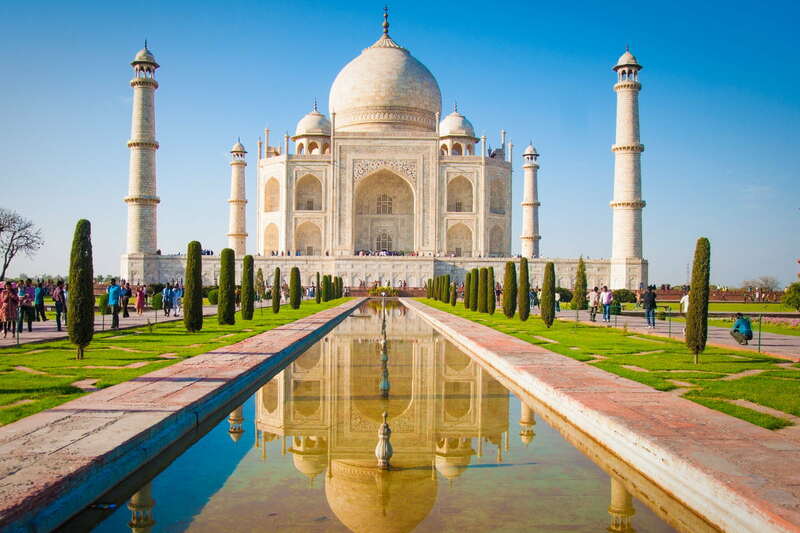 The Taj Mahal attracts 7-8 million visitors a year and it was declared a winner of the New7Wonders of the World initiative because of its magnificent architecture among other reasons.